The Federal Government’s Commission of Audit report has revealed bad news for media diversity with Australia’s community broadcasting sector set to take the biggest hit if the report’s recommendations are adopted. The report has recommended the abolition of $17.7 million in funding support for over 350+ community broadcasting organisations, approximately 20,000 volunteers and a weekly audience of over 5 million Australians. The commission’s recommendation comes after a 2013 funding crisis with the then ALP Government affecting the sector’s digital radio services. The crisis led to the Commit To Community Radio campaign which resulted in the eventual reinstatement of the funds in the final hours of the Gillard Government. If adopted the recommendation would have a serious impact on a wide range of services for ethnic, youth, indigenous, religious, print handicapped and mature age communities as well as music and cultural communities underserved or ignored by other media sectors. Cuts to community services could also prove to be tricky for National Party MPs whose electorates make up a large number of the 34% of stations acting as the sole providers of local programming. The community broadcasting sector will now be nervous heading into the May budget and awaiting signs of support from Communications Minister Malcolm Turnbull. The Department of Communications and the minister have yet to make a formal statement. Disclaimer: The author is a board member of the Community Broadcasting Association of Australia. His views are his own and do not represent those of the association or his employer. – Read and share the facts about community broadcasting. 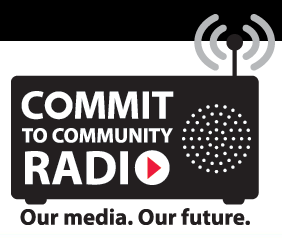 – Sign up to Commit To Community Radio and follow the CBAA for the latest updates. If further campaigning is needed this will be your best source of information. – Tell Malcolm Turnbull and your local MP how important media diversity is to you and not to cut from community broadcasting. – Tell your friends and family that this is a very real threat to a vital platform for many in our community. – Tell other media outlets to cover this story. In amongst all of the other proposed cuts this story is too important to be lost. I will continue to update as we learn more about the situation. If you believe in a diverse, independent media which the whole community has meaningful access to please spread the word however you can. Thank you for this up-date : I look forward to hearing more on this issue. Great work JB. Cutting the arts is never the way to grow a country.